The Big Gulp works most anywhere. It's a great catch all for dust, chips and debris. 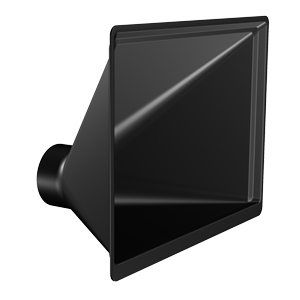 The Big Gulp Dust Hood is 12-1/2” x 16” and accepts a standard 4” dust hose with a hose clamp (not included).